GANADORA - Shoes GANADORA - Fast delivery with Spartoo Europe ! Straight from Spain and with an incredibly creative style, Ganadora is a brand that is making a name for itself in the world of comfortable sandals. The secret to their well-being? A wedge sole made from ... cork! Made in Spain, each design has the same spirit and yet they are all incredibly unique: matte or metallic, small heel or high heel, strappy or slip-on... there's something for everyone! 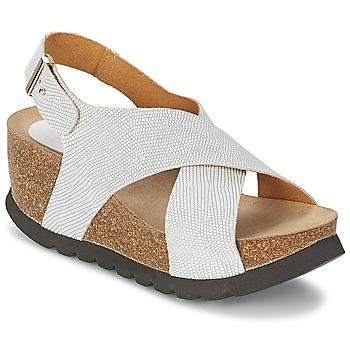 Ganadora shoes are perfect for women on the go and for your next beach holiday.